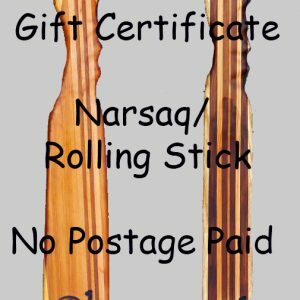 Gift certificates are the perfect way to take the stress out of buying a hand made Narsaq as a gift. 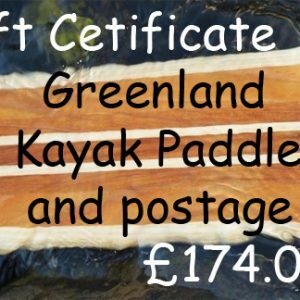 Simply select this item and provide your own e-mail address and we will then e-mail a gift certificate to you to forward on or print out and give to them. 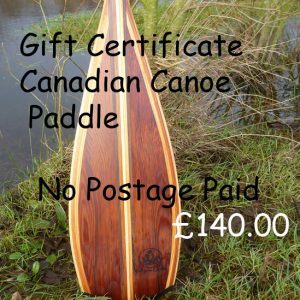 The Certificate is redeemed by contacting us by e-mail or telephone to provide the details of the paddle; style, width, length, timber combinations etc. 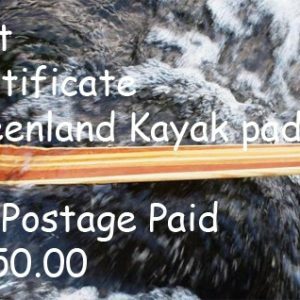 Each certificate has a number required for redemption. Please select ‘Free Shipping’ at the checkout. Postage for these items is calculated on the basis of delivery to UK and ROI. An additional postage charge may be added for delivery addresses outside of the UK and ROI, calculated for each case based on delivery address.